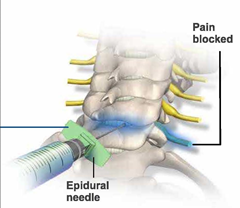 Cervical epidural injections are commonly given to patients who suffer from nerve root inflammation and irritation in the neck, causing them to experience neck pain and arm pain. 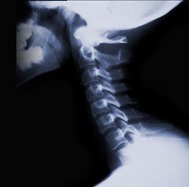 These symptoms may be caused by a neck injury or normal wear and tear, which leads to damage of the discs found between the cervical or neck bones. These changes affect the nearby nerve roots that give sensation to the neck, shoulders, and arms, thereby causing severe pain that is often unrelieved by medications or conservative management. 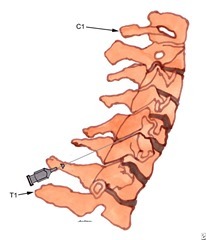 The aim of treatment with a cervical epidural is to reduce inflammation from the damaged intervertebral discs, which is causing irritation to the spinal nerves. An anti-inflammatory medication consisting of local anesthetics and steroids is therefore injected into the upper spine or neck, to bathe the affected nerves and discs, targeting the painful areas in the neck and arms. Since the treatment uses locally administered medications, it does not have a widespread effect on the body; rather, only painful areas are targeted, and no systemic side effects are expected. Patients benefit from this procedure because after the injection, inflammation and pain are reduced for several months, allowing the patient to resume normal activities and undergo rehabilitation or physical therapy while healing takes place. A cervical epidural is an outpatient procedure performed by a qualified Chronic Pain Specialist who is an expert with the treatment. The patient is initially briefed about the procedure and prepared beforehand so that he is relaxed. The patient sits on a chair in a position that allows the physician to visualize the cervical vertebrae (neck bones) using x-ray guidance. The skin at the back of the patient’s neck is cleansed thoroughly with sterile scrub. A small amount of local anesthesia is administered on the skin and underlying tissues to numb the area before treatment. When ready, the physician directs a special needle with x-ray guidance into the epidural space, which surrounds the outer covering of the spinal cord in the neck. Proper positioning of the needle is ensured with the use of a small amount of contrast medium or dye injected before the medication is given. 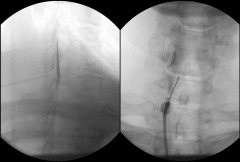 Finally, a small mixture of local anesthetic and anti-inflammatory (steroid) drug is injected into the epidural space. The patient may experience temporary numbing and weakness of the arms and hands for a few hours, which is an expected result. Patients are allowed to stay in a recovery area where they will be monitored for about an hour. After discharge, they will be asked to evaluate their improvement in the succeeding week and report for follow-up. Repeat injections may be performed up to three times, if needed, every two weeks. A cervical epidural injection is a minimally invasive, safe, and effective means of treating neck pain that is unresponsive to other forms of treatment. If you want more information about treating chronic pain in the neck and arms, contact our Pain Management Specialist who will examine you and conduct tests to determine the cause of your neck pain. Make an appointment with the NYC’s top board-certified interventional pain management physician to know if cervical epidural injections are a treatment option for you.